Negative gearing is often cited as a tax concession that inequitably distorts rental housing markets. 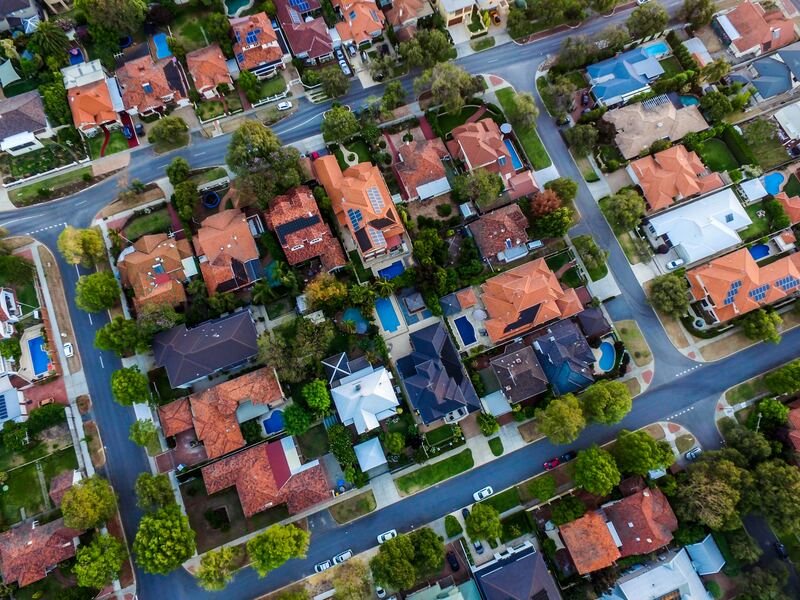 Yet despite concerns for housing affordability driving a wide array of voices calling for its reform in recent years, negative gearing has remained largely durable throughout. How can we account for the continued inclusion of negative gearing in Australia’s housing tax settings given the wealth of evidence that demonstrates its poor policy record? Negative gearing enables landlord investors to deduct rental property ‘losses’ from their overall taxable income. Contrary to popular belief, negative gearing is not a specific concession on housing investment. Instead, negative gearing is made possible by a standard principle of the tax system that permits investors to deduct interest expense and other costs on investments such as rental properties. However, this raises questions about the appropriateness of applying tax deductibility against other income to housing investments, given the unique characteristics of housing and land as asset classes and the availability of mortgage lending. The controversy hinges on the ability of landlord investors to apply their rental property losses to reduce tax on other (non-landlord) income, and the 50% discount on capital gains tax for any capital gain on sale of the property. It is now widely accepted that negative gearing, as it applies in housing, performs poorly on conventional tests of efficiency and equity. As a housing subsidy, negative gearing is entirely untargeted. While the rationale for negative gearing centres on the claim that it encourages housing investment, the vast bulk of rental property acquisition involves existing properties. In 2017, less than 10 per cent of investor property loans were for newly-built homes. The overwhelming impact of negative gearing is therefore to distort the market by inflating demand for a fixed supply of dwellings, with only a negligible contribution to new housing supply. Moreover, negative gearing is a highly iniquitous way of supporting the housing market. According to research, those in wealthier occupations are much more likely to access the concessions offered by negative gearing than people on low-middle incomes. The overriding distributional impact of negative gearing is therefore an upward redistribution of income, compounding the regressive tendencies of Australia’s housing tax settings. Negative gearing is also expensive. Together with associated Capital Gains Tax relief for rental investors, negative gearing costs Australian taxpayers nearly $12 billion per year. Its continued inclusion in the housing tax system sits uncomfortably alongside longstanding commitments to deficit reduction. The above findings provide a robust case for the reform or removal of negative gearing in order to meet its stated housing supply objectives. Yet, it would seem that the persistence and durability of negative gearing may in fact be due to factors beyond evidence regarding its dubious housing market outcomes, and tied instead to a combination of special interests and broader macroeconomic concerns. The role of special interest groups has been the subject of intensive scholarly interest in both recent and earlier times. But the broader macroeconomic concerns, which are rooted in the growing concentration of wealth in bricks and mortar and the fear of triggering a house price crash, have rarely been studied in the negative gearing debate. The question, then, is how these concerns play into broader tax policy decision-making, and to what extent they undermine evidence-based policy reform. The history of negative gearing provides a useful case study to answer this question. In 1985, then Treasurer Paul Keating announced reforms to negative gearing to curb what he regarded an ‘inequitable way of supporting the rental housing market’. Keating’s proposal was to ‘quarantine’ negative gearing, limiting the incentive mechanism by allowing landlord-related expenditures to be offset only against rental income – not total income. But less than two years later, negative gearing was back, reinstated in its full and un-quarantined form. My research shows that factors linked to macroeconomic stability – almost entirely separate to strictly housing-related concerns – were instrumental in this policy reversal. While the real estate industry mounted a campaign blitz that aimed to tarnish Keating’s initial move, claiming it had induced skyrocketing rents in Sydney and Melbourne, this allegation was later exposed as hollow. But the campaign’s power was stoked and reinforced by broader fears about the growing role of global economic forces in Australia that engulfed the political and national consciousness after 1985. Cabinet documents from the period convincingly highlight that concern about the ‘unsustainable’ current account deficit, and the imminent possibility of capital flight, shaped almost all domestic political debates of the day. Given this context, it is clear that the reinstatement of negative gearing was at least partially driven by a widespread feeling – shared in the financial press, and even supported by the unions in their concessions to business during the Accord bargaining process – that Australia had to be made a fertile environment for investment. In the press, the Real Estate Institute was afforded ample room for its pro-negative gearing pitch, while Keating’s opponents argued that the quarantining reflected the government’s inability to manage structural economic change. Upon its reinstatement, the Australian Financial Review lauded the government’s efforts in ‘reviving’ business confidence. The Sydney Morning Herald also suggested that negative gearing restoration reflected a considered and well-judged effort to adjust to globalisation, by boosting the share market and providing potential overseas investors with the assurance that Australia was a ‘fine climate for markets’. While the government climb-down may have helped to dampen property industry discontent in New South Wales, it took place in a wider context of reform, and was driven in part by powerful narratives that invoked economic imperatives for the state to secure business confidence. Contemporary calls to rescind or reform negative gearing have encountered similar structural obstacles. Scholars have already documented the rent-seeking activities of powerful social forces, who have effectively ‘captured’ housing tax policies in order to protect rent extraction and the interests of homeowners. But the durability of negative gearing is also rooted in the growing indebtedness of Australian households, and the critical role of housing as the collateral sustaining debt-fuelled consumer spending. Aided and abetted by low interest rates and deregulation, mortgages have ballooned in Australia over the past two decades. Mortgage lending is now worth 80 per cent of GDP, while household debt remains at among the highest levels worldwide at over 120 per cent. These conditions have enabled largely unrestrained quantities of credit to flow into a finite supply of desirably located land, pushing up housing prices and fuelling demand for mortgage debt. This makes the Australian economy highly vulnerable to a house price adjustment. In this context, fear of triggering a house price crash has served as a barrier to effective housing tax reform, with the possibility of accelerating house price deflation now commonly invoked as a reason to keep negative gearing. Drawing on the work of David Harvey to reconsider the forces shaping housing demand, my research suggests that the contemporary durability of negative gearing stems in part from ‘structural roots’. Negative gearing has remained in place – at least in part – because of the way in which housing demand has grown central to economic growth in Australia, supporting the construction industry and underpinning rising prices which prop up spending amidst stagnant wage growth. Seen in this light, negative gearing is part of a broader system of concessions that underpin the accumulation of savings in housing and inflate prices by encouraging competition between investors and first-home buyers. The long saga of the negative gearing debate therefore reflects how housing tends to function in capitalist society as a site for capital accumulation, a trend which butts up against the eminently reasonable goal of affordable housing for all. 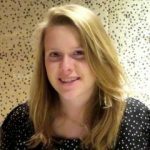 Isla Pawson is a researcher interested in the nexus between housing, land, and finance. Isla is a recent graduate of the University of Cambridge, University Medallist in Political Economy at the University of Sydney, and winner of the 2017 Young Scholar’s Award presented by the Journal of Australian Political Economy.